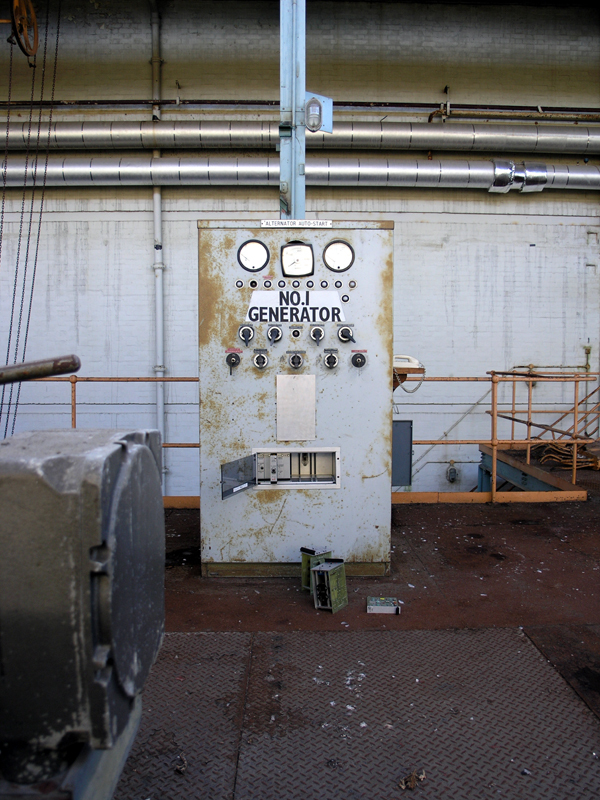 Detail of the "No 1 Generator" control panel. This stands on the western side of the turbine hall near the end of the Parsons generator. One of the stairways to the ground floor can be seen just behind it. Closer view of the generator auto-start control panel.